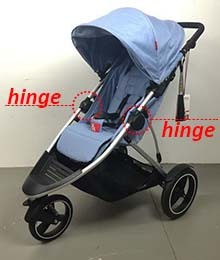 A hinge on the frame could pinch users. Affected strollers were sold from August 2015 to March 2016 and have serial numbers ranging from PTRV0715/0746 to PTRV0815/2525. Check the sticker on the inside of the bottom left rear cradle for the model and serial number. 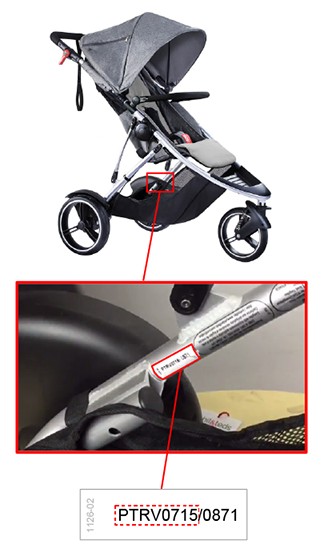 Owners should stop using the stroller and fill out Phil & Ted’s online order form to receive a free replacement stroller frame. The frame will come with in-home instructions. A video is available to show the step-by-step process. For more information, contact Phil & Teds on 0800 119 437 or visit their contact page.